Icarus is a record label, concert promotor and radio show , broadcasted every Sunday night between 21-23h at 105.3 Urgent Fm (Ghent), and at midnight on Tuesday night at 106.9 YouFM (Mons), two Belgian radio stations. It wants to be the home of all music that doesn&apos;t fit between defined borders. Musical styles like new classical, ambient, blues, jazz, minimal, psychedelica, krautrock will find their way to you through this show. You may experience a dark musical trip through our galaxy, floating on clouds and melting by the sun between heaven and hell. 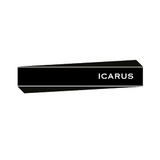 Icarus wants to give you an eargasm, no more, no less. I&apos;ll also be posting here some mixes I did over the years: funk/soul similar to the Wildkatze parties I organise in Gent. Or minimal/house/techno sets that I did alone or as d&apos;Ache & d&apos;Elle back in the years.